Typically found on the face, hands, arms shoulders and other exposed parts of the body, hyperpigmentation, or benign pigmented lesions, include everything from bluish/purplish, black or otherwise discolored spots to freckles and sun-damaged skin areas. If you have any of these conditions, you are most likely a candidate for treatment. 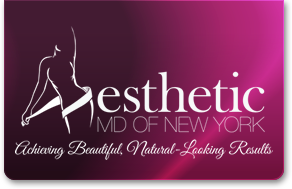 At the office of Dr. Ronit Adler, we use the latest aesthetic laser technology available today. The Cynosure Elite™ is one such device, and uses laser light pulses that cause targeted skin cells to scatter and degenerate while significantly decreasing potential damage to surrounding tissues. The dead cells are then removed from the skin by the body’s immune or lymphatic system. Overall, treatments are gentle and mild, causing only slight discomfort with minimal side effects. The number of required treatments varies depending on the condition of the skin. Results are usually noticeable within one to two treatments but usually up to six treatments are required. No rest or recuperation time is necessary and patients can immediately resume normal activities without restriction.